FRANKLIN, TN--(Marketwired - Dec 4, 2013) - Franklin, Tennessee, was recently named one of America's Favorite Towns by Travel + Leisure magazine. 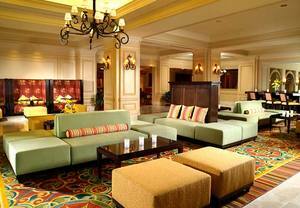 Experience America's 8th favorite town at the Franklin Marriott Cool Springs, a premier hotel outside of Nashville. Franklin is renowned for its year-round festivities, including the Pumpkinfest and Franklin Tomorrow's Chili Cook-off, which takes place during Halloween. It's also known for its friendly residents; Travel + Leisure readers voted Franklin the #7 "Friendliest Town in America." "There's a festival for virtually every month of the year hosted in 18th-century Franklin's brick-paved downtown -- named among the country's best by the National Trust for Historic Preservation," Travel + Leisure wrote. "You might sample beer and Irish whiskey at the Main Street Brew Fest each March or bluegrass fiddling in late July, or join a Dickens-themed Christmas celebration. The town also ranked No. 3 for Christmas lights." Guests at the Franklin Marriott Cool Springs, a hotel near Carnton Plantation, can take a free shuttle service to Franklin's best attractions, including historic downtown Franklin, Cool Springs Galleria Mall, Crescent Centre, Highwoods, Arrington Vineyards, and A-Game Sports Complex. When Nashville attractions or the brand-new Music City Center peak your interest, the Franklin Marriott Cool Springs is also just a short drive from downtown Nashville, Vanderbilt University, and the Williamson Medical Center. When they're not exploring Franklin, guests will have plenty to keep them entertained at the Franklin Marriott Cool Springs, which offers a fully-equipped fitness center, an indoor saltwater pool, walking trails, and comfortable accommodations that are uniquely designed for both leisure and business travel. There are also three restaurants on-site, including a casual coffee shop, a lounge, and Lorraine's, a Franklin Tennessee restaurant that offers fine American food in an elegant and comfortable setting. With customizable event menus, Certified Full-Service Wedding Professionals, and more than 29,000 square feet of indoor and outdoor event space (including a 1700-person ballroom and 22 flexible meeting rooms), the Franklin Marriott Cool Springs is the premier location for meeting and social venues in Franklin, TN. Enjoy the innovative services to hotel guests including Mobile Guests Services and Red Coat Direct. To stay connected with Franklin Marriott Cool Springs, like us on Facebook (https://www.facebook.com/franklinmarriottcoolsprings), or follow us on Twitter (https://twitter.com/MarriottFMCS, @MarriottFMCS). Ideally located just 20 minutes south of Nashville, the Franklin Marriott Cool Springs is the premier hotel in Franklin, Tennessee, which was recently named one of America's Favorite Towns by Travel + Leisure magazine. This property, which has TripAdvisor's Certificate of Excellence, offers wireless Internet access throughout the rooms and public areas, concierge service, a full-service business center, and complimentary on-site parking. The 300 spacious guest rooms and suites are outfitted with plush featherbeds and fluffy down comforters, 37" flat screen HD TV's, high-speed wireless Internet access, and plug-in panels that connect laptops, MP3 players, digital cameras and video game players to the TVs. Fitness-focused guests can work out in the fully-equipped gym, run on the jogging trail, or swim laps in the indoor saltwater pool. After an exciting day spent exploring downtown Franklin or nearby Nashville, guests can share a delicious meal at Lorraine's for upscale American food or stop in for a snack or coffee at Coffee Etc. or the Stirrup Cup Lounge. Franklin Marriott Cool Springs offers an ideal location in charming Franklin, TN, which was recently named one of America's Favorite Towns by Travel + Leisure magazine. It's also known for its friendly residents; Travel + Leisure readers voted Franklin the #7 "Friendliest Town in America."